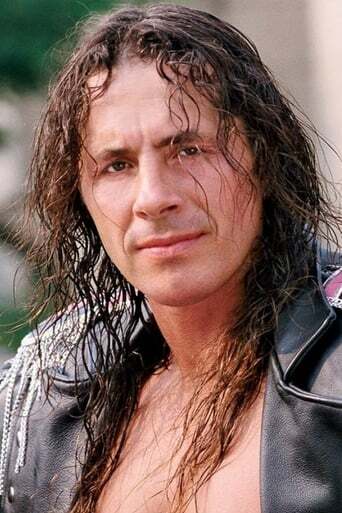 From Wikipedia, the free encyclopedia Bret Sergeant Hart (born July 2, 1957) is a Canadian on-screen personality, writer, actor and retired professional and amateur wrestler. Like others in the Hart wrestling family, Hart has an amateur wrestling background, including wrestling at Ernest Manning High School and Mount Royal College. Along with his famed "Hit Man" nickname, Hart's agile, technical style earned him the moniker, "The Excellence of Execution". He was also known as "The Pink and Black Attack", in reference to his ring attire, as well as his signature mirrored sunglasses, which he would routinely give away to a young audience member before matches. Hart debuted in professional wrestling in 1978 with his father, Stu Hart's promotion, Stampede Wrestling, and enjoyed mainstream popularity and championship success throughout the 1980s and 1990s in the World Wrestling Federation (WWF—later WWE), where he helmed the Hart Foundation, a faction of Hart family members and allies. He defected to World Championship Wrestling (WCW) following the controversial "Montreal Screwjob" in 1997, where he enjoyed continued championship success until his departure from that promotion in 2000, due to a concussion that would force his retirement that same year. Hart became the on-screen commissioner of World Wrestling All-Stars (WWA) in 2001, but this role came to a premature conclusion when he suffered a 2002 stroke, which temporarily rendered him a wheelchair user. Upon recovering, he continued to make non-wrestling appearances with independent promotions throughout the remainder of the decade, and, in 2005, returned to WWE programming. Hart was inducted into the WWE Hall of Fame by former on-screen rival, Stone Cold Steve Austin, the following year. He returned to sporadic in-ring competition with WWE in 2010, where he won his final championship and also briefly served as the General Manager of Raw. Hart continues to make appearances on WWE programming. Hart has held championships in every decade from the 1970s onward, with a total of thirty-two held throughout his career, and seventeen held between the WWF/WWE and WCW. Among other accolades, he is a seven-time world champion, having held the WWF Championship five times (with the highest number of combined days as champion in the 1990s) and the WCW World Heavyweight Championship twice (being the first non-American born United States champion); a record-tying five-time WCW/WWE United States Champion, with his four WCW reigns being the most in the history of the organization; and the second WWF Triple Crown Champion. In addition to championships, he is the 1994 Royal Rumble winner (with Lex Luger), and the only two-time King of the Ring in WWE history, having won the 1991 tournament and the first King of the Ring pay-per-view in 1993. Hart has been described by WWE and WCW publications, fellow wrestlers, prominent industry figures and fans as one of the greatest, and most popular, professional wrestlers of all time. Description above from the Wikipedia article Bret Hart, licensed under CC-BY-SA, full list of contributors on Wikipedia.